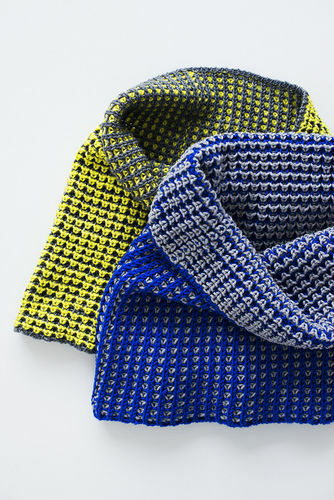 You have mastered the technique of Brioche but now wish to expand your skills and experiment with colors and creating directional patterning using Brioche technique. You will discover numerous methods of decreases and increases while taming any mistakes that might occur along the way while creating Tenchi Cowl. Technique Requirements: Must already be familiar with the basic concepts of brioche.